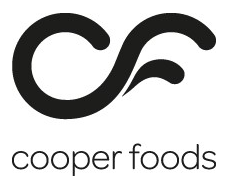 This month seen Kilkeel based Seafood Processor Mourne Seafoods sign for a Season Office and Factory system to improve operations and move the business forward. Based in the picturesque harbour town of Kilkeel Co. Down Mourne Seafood have been locally sourcing and supplying fresh and frozen fish to the restaurant trade for over 40 years building a reputation for quality product and service. By implementing Season Office Mourne Seafoods can expect a plethora of benefits some of which include, easy access to key business performance information via Season Reports. These reports will allow the company to pinpoint exact information such as who has stopped buying from them, comprehensive gross margin analysis, trend analysis, best / worst performing customers/products, full audit trail to see who did what and when and much more. As well as having KPI information at their finger-tips Season will also cater for all the daily office operations within the one user friendly interface. Daily tasks such as SOP, POP, CRM, invoice and statement production, Price Management, Product Management and more. Not only will Season cater for these but in many cases simplify and expand. Sales staff will have access to a customers complete order history and can repeat an order in the click of a button, credit control info can be displayed for each customer at the point of order entry, email invoices and statements either in batches or individually. Submit preparation notes for Factory staff to see on screen as they prepare orders, drastically reduce the paper trail by digitally managing traceability, HACCP etc. and recall the information at any stage with just a few simple clicks plus much more. By implementing an Office and Factory package communications throughout the business are instantaneous reducing errors and increasing efficiency. Running on touch panel PC’s or tablets and linked to the company’s existing scales Season Factory will cater for all their operations from goods in through to production and out to despatch. Using Season Active X Labelling the company can expect incredibly fast label production as goods come in through the door. By applying labels at this stage of the process product can be simply scanned into other areas i.e. production and despatch. Season Factory will manage all of the traceability inputs using our Trace profiles which make recording any desired traceability information simple and fast. This information can be recalled in various formats and at any time in the Office eradicating the need for paper based recording. Operators will benefit from engaging with their terminals as product yields are displayed on screen whilst completing a job. Also visible are product specifications and prep notes ensuring that customers get the right product exactly the way they want it and on time. Season Factory also comes with features specifically designed with the Fish Industry in mind. Prime portion control will calculate what fillets / portions are available from which whole fish ensuring stock is 100% accurate and eradicating overselling. From telesales to the balance sheet and everything in between Season is a complete business management package that works in real time. Developed with 25 years’ experience in the industry working with some of the UK and Irelands most successful seafood businesses Mourne Seafoods have a system highly tailored and proven to help business grow. We would like to take this opportunity to welcome Harold, Lisa and the rest of the Mourne Seafood’s team to Season. We look forward to a long and successful partnership. Could your business benefit from any of the features listed above? Get in touch today send an enquiry to sales@datos.co.uk or give us a call on 028 38 362 002 for a full demonstration.